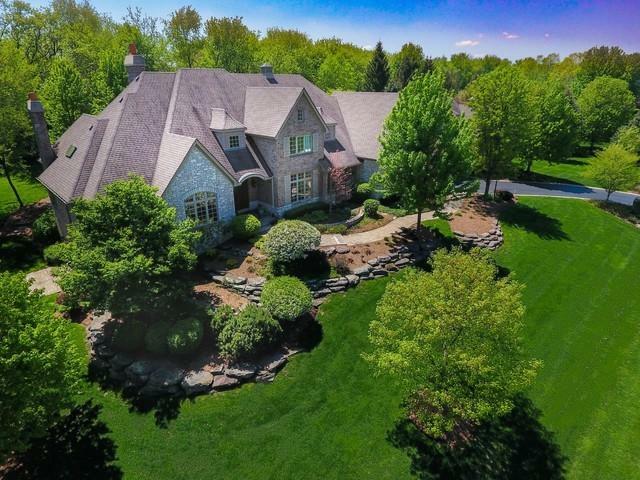 This exquisite, custom-built home with exceptional craftsmanship is in prestigious Burr Hill Golf Community in St. Charles. 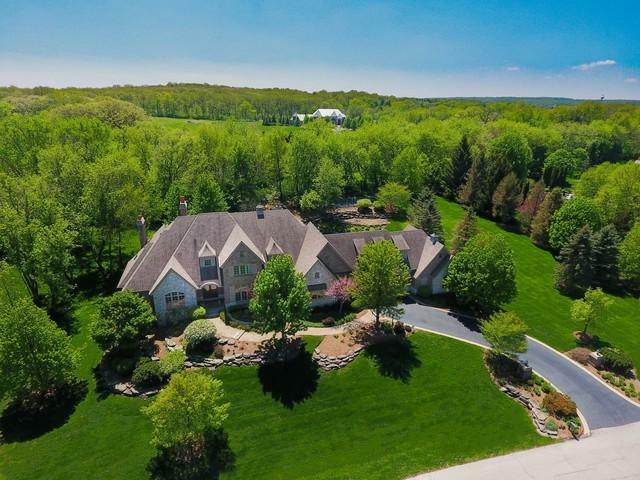 A gorgeous estate with a 1st floor master and four add'l bedrooms with en-suite bathrooms on the 2nd level. The gourmet kitchen has custom, white cabinetry, range with stone surround, island, eat-in area, wet bar, hearth room and walk-in pantry. Beautiful, wide-plank, hand-scraped Australian Cypress hardwood and warm, neutral decorator paint colors. The mud room has elaborate, custom built-ins, lockers, porcelain tile and separate laundry with a folding station, built-ins and French, exterior doors. 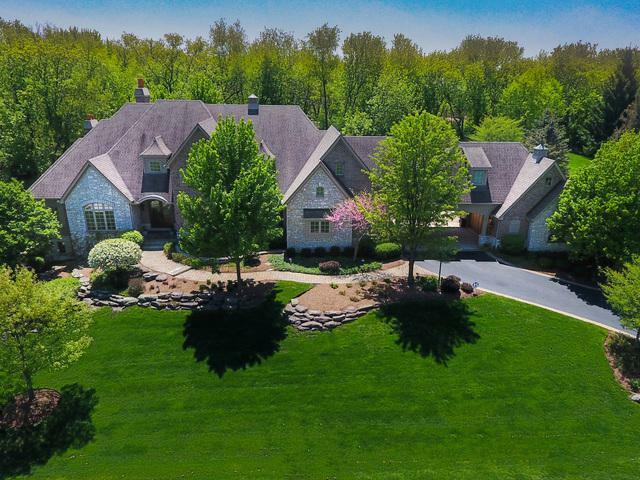 Private grounds with a 3-seasons room, rock waterfall, brick patio, irrigation system, fire pit, built-in DCS grill, 4 car garage and a sport court. The finished, walk-out basement has a rec room, bar, theatre, bathroom and access to the garage. Enjoy dinner at the club or a round of golf with friends in this amazing community. ONE YEAR HOME WARRANTY INCLUDED!